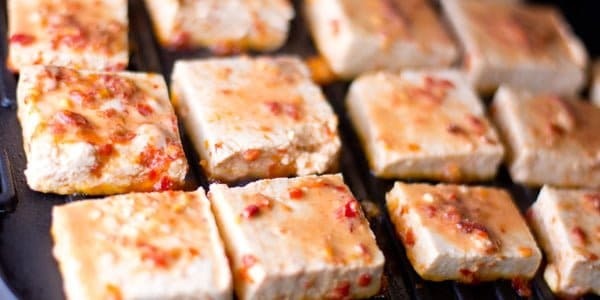 Tofu Steak recipe, Grilled is a tasty and healthy appetizer. It’s crisp outside and soft and creamy inside. Of course, it’s vegan as well. Can also be served with fresh vegetables and rice. A great substitution for chicken for meatless days. Nowadays, I started exploring various dishes around the world and sharing some of them which I liked the most. The very common factor in all the recipes I have tried are calorie less and healthy. And cheesy, calorie-rich recipes may not be found here as I’m not making it quite often in my kitchen. It’s kind of freezing outside at 45°F, made me grilling with the comfort coziness at my kitchen. I used portable kitchen Grill for this recipe. 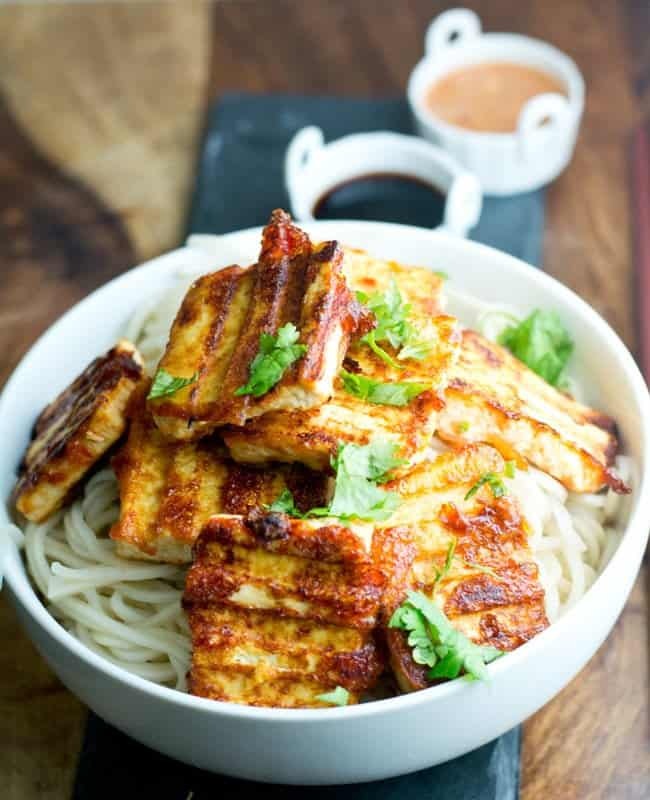 But pan searing is also perfect to make the tofu steak. I used my own marinade, but that’s fine if you are using any store bought marinade as well. 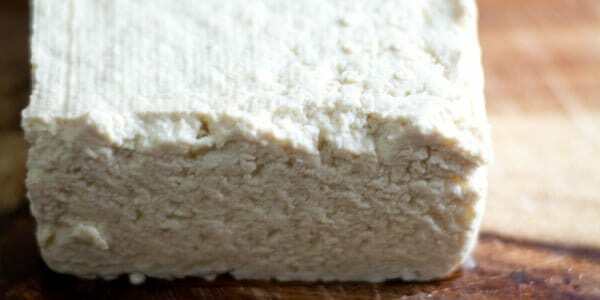 Firm tofu is perfect for this recipe. Your local stores may carry this and may find it in the produce section. It may also be stored along with fresh mushrooms and carrots. This Vegan recipe is very easier to make, and are great for meatless days. Open the pack and drain the excess water and place it on a plate to get drained completely. The tofu can also be used in making other recipes like Vegetarian Wonton, Pan-fried Wonton, Chinese Garlic Chicken. Cut them into bite-sized cubes. The perfect thickness would be half an inch thickness. Tips: 1. For variations cut into lengths wise. 2. Want more creamy inside? increase the thickness of the slices. Combine soy sauce, red chili paste, corn flour, rice vinegar and make it like a flowing consistency paste. Spread the marinade evenly to the sliced tofu. 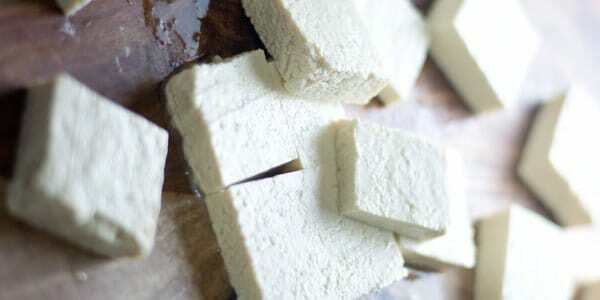 Be cautious as the tofu are tender and breaks easily. Let it get marinated for about 10-15 minutes. Spray cooking oil to the base of the grill. Place the marinated tofu and spray cooking oil again. Grill it for about 5 minutes on both the sides or until your desired texture reached. Spray cooking oil in between if needed. Serve Tofu Steak hot along with rice and steamed vegetables. If you are planning to serve as an appetizer serve with ranch or chili garlic dip. 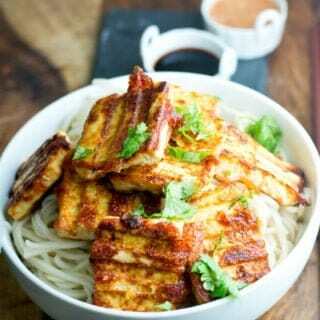 Tofu Steak recipe, Grilled is a tasty and healthy appetizer. Its crisp outside and soft and creamy inside. Of course, its vegan as well. Open the pack and drain the excess water. Place it in a plate to get drained completely. Cut them into half an inch thickness of bite sized cubes. Combine soy sauce, red chili paste, corn flour. 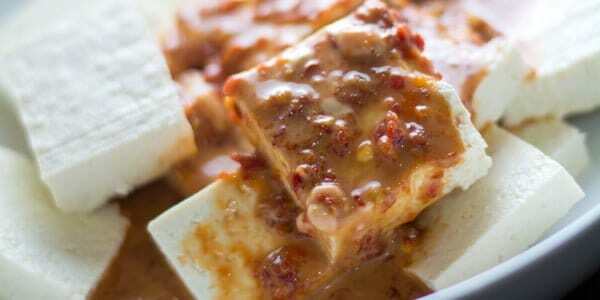 Spread the marinade evenly to the sliced tofu for 10-15 minutes. Grill it for about 5 minutes on both the sides or until your desired texture reached. Spray cooking oil in between if needed. Serve hot along with rice and steamed vegetables.